If you are in the market for cross country movers, that means you are relocating far away from the place you called home. It is safe to say there is a lot that will change about your lifestyle during an out of state move. 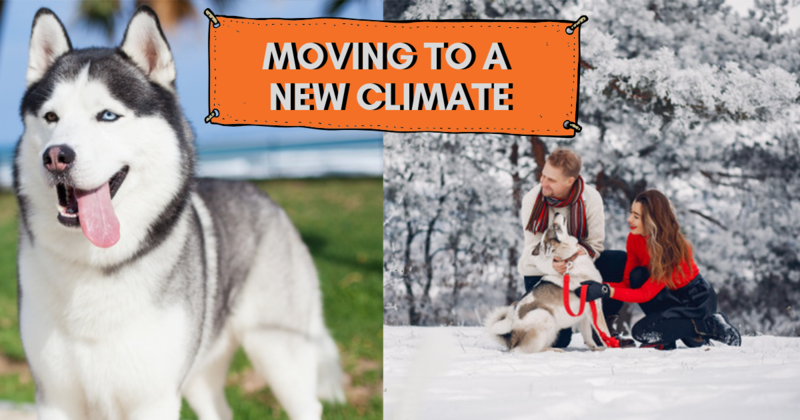 However, many cross country movers like you forget to consider how the drastic weather changes will impact your life on the daily. Luckily we’ve made it easy for you to figure out how to prepare. If you aren’t used to checking the status of the weather daily because you’ve been coddled with gorgeous weather, this will take some getting used to. In extreme weather conditions, (both hot and cold) it is a wise idea to invest in your AC and heating systems. Cross country movers like us recommend that you check your home’s insulation. It may be time to reseal or replace insulation. This is the key to keeping the good air in and the bad air out, no matter which type of cross country mover you are. It’s also a good idea to invest in umbrellas, snow boots, bug repellent…etc. Take the time to arm yourself and be prepared so you can make the most of bad weather when it hits you. Whether you want to tune into the weather via radio/tv broadcast, or prefer the internet and apps, staying informed is crucial. Cross country moves will seem like less of a battle if you are one step ahead of the weather. The weather channel app is a great place to start. If you live in an area prone to flash flooding or tornadoes, you should also consider using social media. In some instances, it may be the fastest way to hear about weather related issues happening nearby. This is the type of cross country move people fantasize about when they are bunkered in for a snow storm. Just ask anyone who has battled a blizzard. The thought of relocating somewhere where you can soak up sunshine in February is the ultimate cross country move. However, before you trade in all your ski gear and North Face jackets, there are a couple changes you should know about. If you were someone who enjoyed the outdoors in the afternoons, we’ve got some news for you. Places like Southern California, Southern Texas and Florida have outrageously hot temperatures during the afternoon. The peak times, between 11:00 and 3:00 are when the sun is at its strongest. You’ll have to pencil in another time to get in that five mile run. Sure you can dip in the pool or lay on the beach, but be cautious about strenuous activity in the heat. If you haven’t been able to work out in the early morning, consider this your new motivation. It’s going to take a lot of energy to keep your house cool with all that tropical heat. For cross country movers who are upgrading to tropical weather, you’ll embrace your AC each time you arrive home. However, air conditioning systems use massive amounts of energy to cool off an entire home. The solution is to either set the temperature up 10 degrees when you leave your home, or have a smart thermostat do it for you. Ice cold air is great but why pay for it when you aren’t around to enjoy it? At least with this type of move, we cross country movers know it has to be for a good reason. A great job, a new relationship, something exciting. While you’ll need to grow some thick skin, in the meantime, investing in a warm wardrobe is your immediate step to adjusting to this change. Cross country movers like you learn quickly how valuable layering can be. Layering is a great idea for many reasons. Not only is it fashionable, but it’s warm and flexible too. With layers, you can adjust your level of comfort as the day heats up or as you move from indoor to outdoor activities. In the world of supply and demand, there will be good deals on winter clothing during off peak summer months in warm weather areas. Why? No one needs a down jacket in Florida. Except you, because you happen to be moving. But from a retail standpoint, the stores need to get these items off the racks to make room for slinky sun dresses and bathing suit cover ups. Good for you. You may be used to heat. For instance, Southern Cali can easily spike into 100 degrees. However, since water is a major conductor of heat, when humidity is high, the 100 heat will feel unbearably scorching and practically suffocating. Yeah, we live it here in Florida. So maybe your cross country move is from one hot place to another, but is humidity a new factor for you? If so, read on. A dehumidifier is worth its weight in gold. Anyone who has even the slightest frizz in their hair will agree. This is the key to enjoying crisp cool air in your house. Not only is it great for comfort, but keeping moisture out of your home also prevents against mold growth and other toxic allergens. Yeah, sorry, all that fresh air comes with humidity. The only way to escape it is to shut out the outside world until its balmy and 70 degrees in your area again. This is another practice to prevent mold and mildew from forming inside your humble abode. Don’t make this mistake during your cross country relocation. The upsides here are a much tamer lion’s mane, aka your frizzy hair, and clearer, less blemished skin. But there are new contenders for the cross country mover that is leaving the humidity behind. Pretty much the opposite plan applies for you. Dry air will zap your skin of all its moisture so it makes sense to supplement with a good daily moisturizer. The best way to stay soft is to apply your moisturizer as soon as you get out of the shower. This locks in the water and keeps your skin hydrated longer. Keep hand moisturizer with you to use after hand washing too. Extreme dry air can cause an array of skin conditions, nose bleeds and more. A humidifier is a great and effortless way to combat these issues.